Not your average vision board party. Bloom Into You is designed for you to create an organized, tangible vision of the goals, dreams and visions you would like to manifest this year and beyond. Take a moment to reflect and focus on you. Where you are now? Where you would like to go? 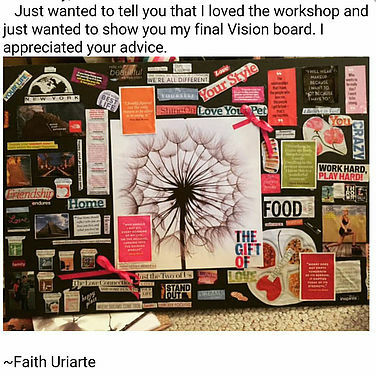 Many people focus on creating a vision board or journal at the beginning of the new year, but it's never too late to craft your vision. What's the difference between a vision board and a vision journal? A vision board is a visual representation of what you'd want to accomplish in all areas of your life. A vision journal offers a dedicated place to write your dreams, goals, and visions. It also provides space to chronicle what you have accomplished.